Wet weather can be expected to prevail in most parts of the northern ASEAN region, with wetter conditions forecast for the first week. 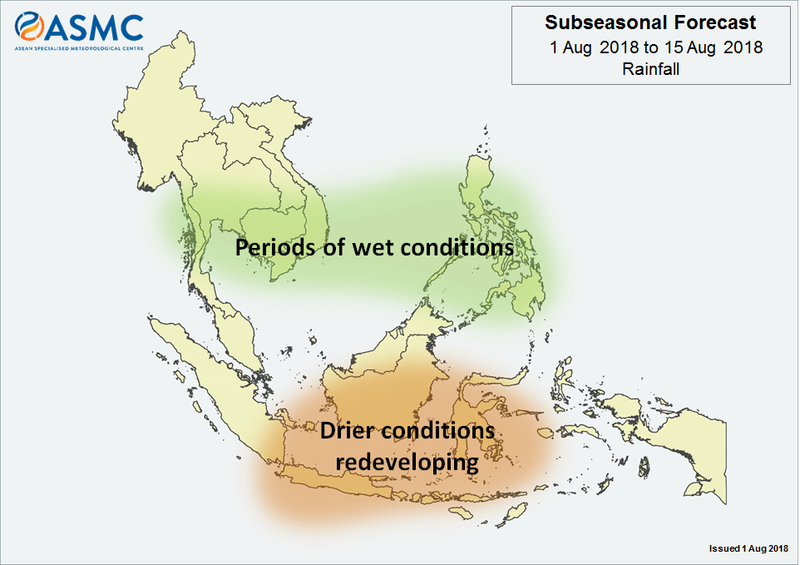 In the southern ASEAN region, drier weather conditions with below average rainfall can be expected over Kalimantan, Sulawesi, Java and the Lesser Sunda Islands during the first fortnight of the month. 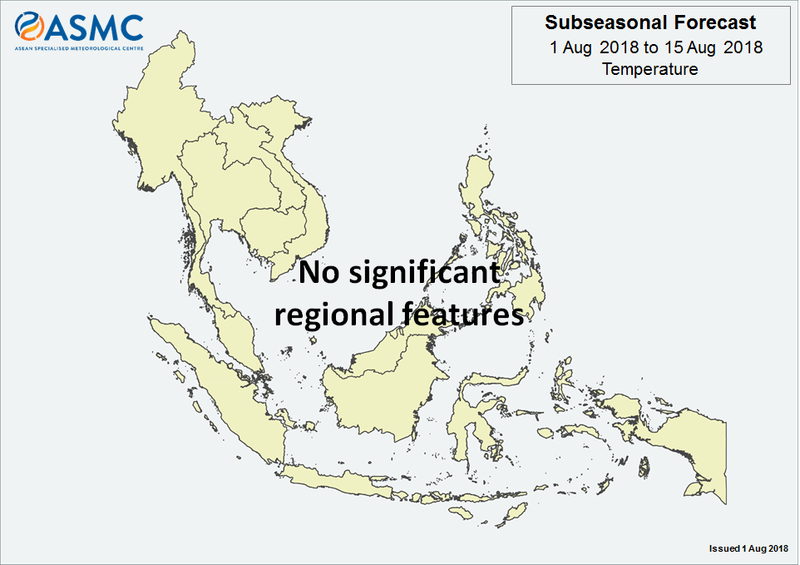 For the rest of the southern ASEAN region, no significant wet or dry conditions are likely, and rainfall is forecast to be near-average (as in Figure 1). With no significant regional temperature features expected in the first half of August 2018, temperatures are likely to be near-normal (as in Figure 2). The MJO currently over the western Pacific Ocean is forecast to weaken over the coming days and re-emerging around mid-August. This is expected to influence the rainfall patterns in the Southeast Asia region.